When young people come together in song and dance and exchange cultural ideas and experiences, they quickly learn their similarities far outweigh their differences. 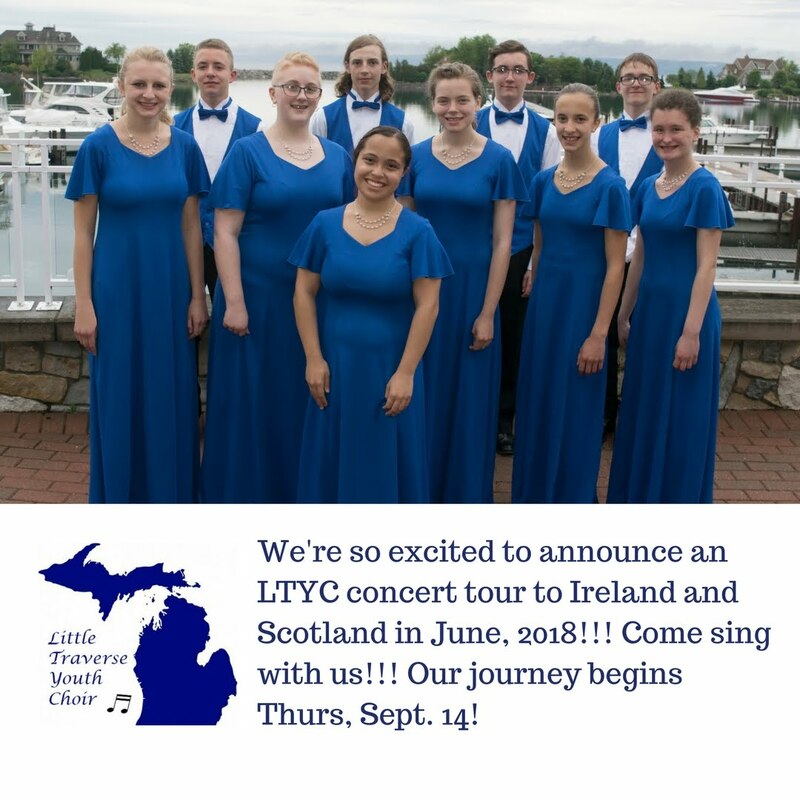 In June, 2018, the Little Traverse Youth Choir will travel on its second international tour, this time to Ireland and Scotland! An informational meeting will be held on Thursday, September 14 from 6:30pm-7:30pm at Cross of Christ Lutheran Church in Petoskey for interested singers and their parents. Mr. Wells would appreciate if new singers could try to arrive at 6:00pm because he would like to touch base with them and hear them sing a little bit before the meeting. This is not an audition. It is a chance for director, Mr. Kevin Wells to hear how each singer will best fit into our group. 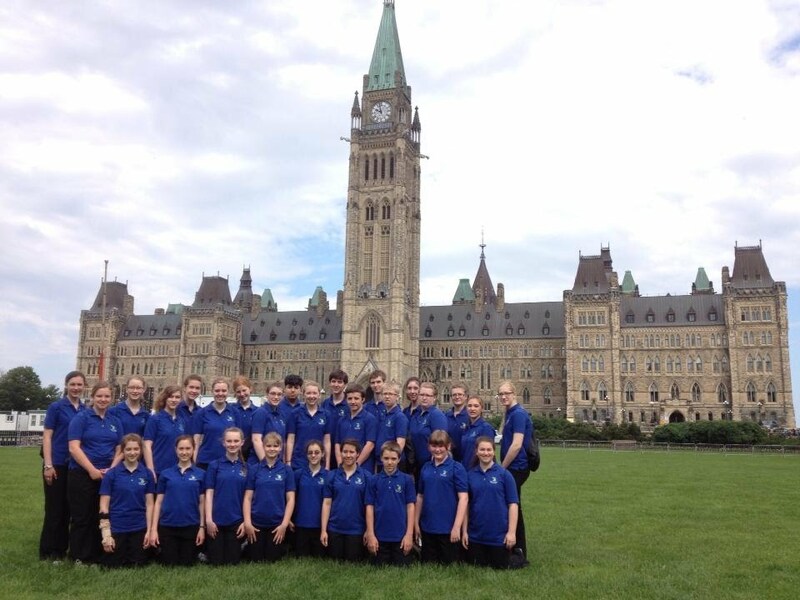 In June, 2013, the Little Traverse Youth Choir Touring Choir, under the direction of Ms. Heather Russell, embarked on its first international tour to French-speaking Canada! The 32-member choir, ages 12-18 from a variety of towns in northern Michigan, performed concerts in Kitchener-Waterloo, Toronto, Ottawa, Quebec City & Elmira, N.Y., sometimes joined by the Canadian host choirs. They had the distinct honor of singing at the Parliament of Canada, in Ottawa. The LTYC Touring Choir would like to thank the communities of northern Michigan for their generous support in making this dream a reality! You may relive the tour by visiting our blog at ltychoir.blogspot.com. 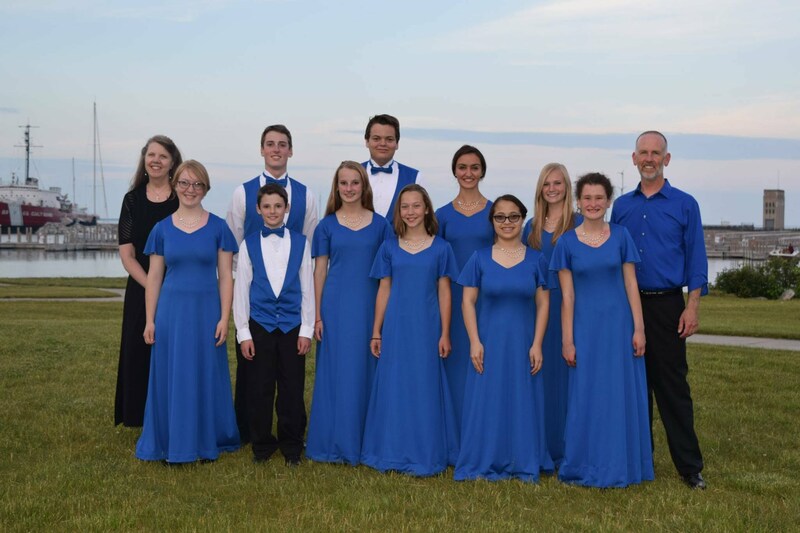 In June, 2016, the Little Traverse Youth Choir under the direction of Mr. Owen James presented "A Journey in Song", a musical trip around the world to audiences in Petoskey, Indian River, Mackinaw City and Traverse City.